You can then save the directions to an existing custom map or create a new one. Once the directions have been added to a custom map, you can continue to insert extra stops or make notes. After you complete mapping out your itinerary, you can choose to share it with friends or a workout buddy. 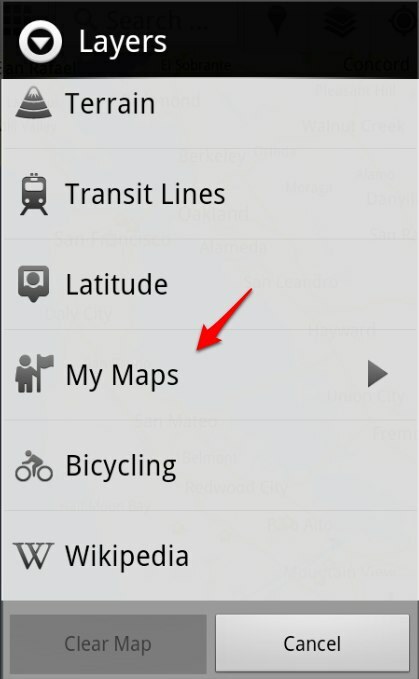 If you have an Android-powered device, you can access stored directions in Custom Maps right from your mobile phone - just click on the layers icon in the upper toolbar and select the saved Custom Map you want. 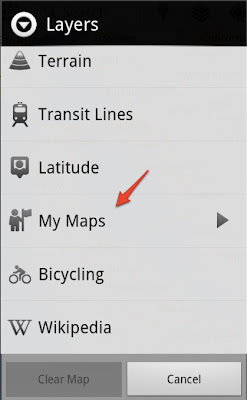 If you don’t have an Android phone, you can open your Custom Maps using your phone’s browser and visiting maps.google.com. For more tips on custom maps, visit our help center. Attention avid bikers and walking enthusiasts: You can now use your desktop to create a biking or walking itinerary using Custom Maps in Google Maps. You can choose to share these directions by allowing people to view your Custom Map and avoid the hassle of scribbling them down or printing them out. Additionally, you can access these stored directions from your phone with the Google Maps Android application. This provides a quick and easy way to navigate trips that have multiple routes and stops when you’re on-the-go. 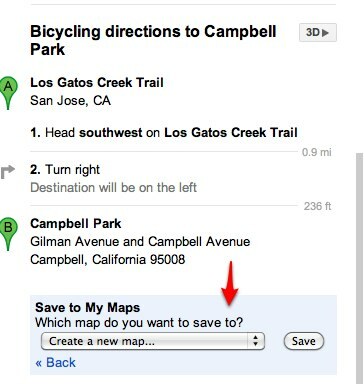 Give it a try the next time you plan a group bike ride or to keep track of your favorite jogging routes. 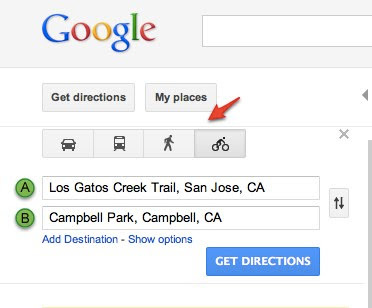 To start, first get directions to your destination(s) and select the biking or walking icon in Google Maps. 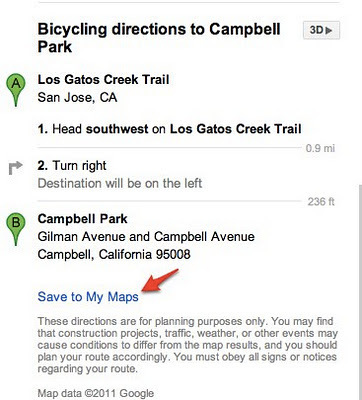 Next, scroll down to the bottom of the directions in the left-hand panel and click the “Save to My Maps” link.